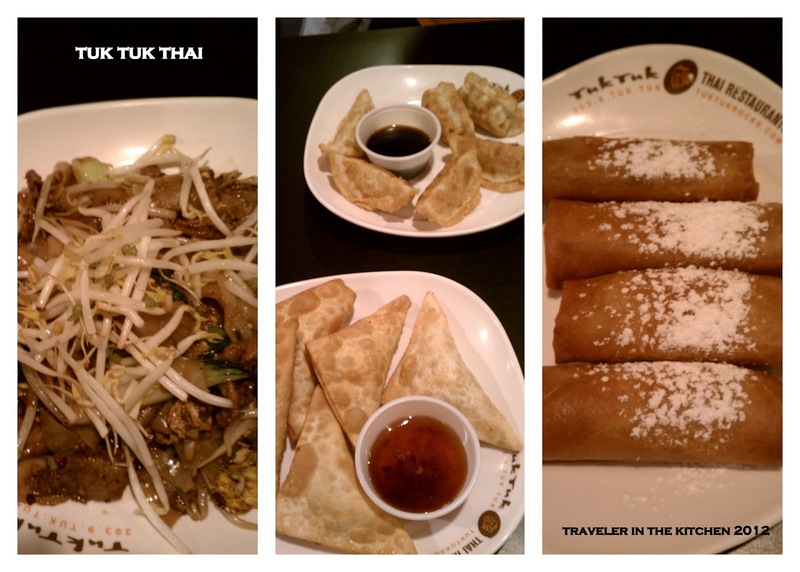 As many times as my sister has gone to Tuk Tuk Thai﻿ in the two years she's lived in Denver, I have never been there. Apparently it's crazy with the lunch crowd in the Tech Center. We finally went this past week for dinner and I am looking forward to going back and trying other things on the menu. Even better, I had some Groupon bucks, and the restaurant was featured on Groupon Now, so I got my meal for free! My sister and I shared curry puffs, pan fried dumplings, pad see eew, and banana wraps. I also sipped on some Thai coffee. If you didn't know, I have mad love for all things Thailand after spending a month there in 2009. I always keep a travel journal and on February 19, 2009 (three years ago already?) 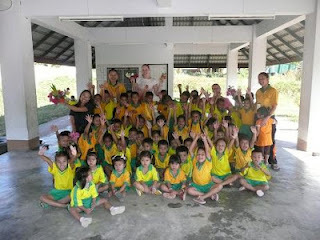 it was the last day for two of the other volunteers at the pre-school where we worked. Spending a month in Thailand must have been an awesome experience! Not only the food but the culture. There are some restaurants that I would like to go, but it seems like something always comes up. I am glad you finally got to Tuk Tuk Thai. I am sure it brought back memories and the food looks great. Definitely worth a second trip. Thanks for sharing this post.